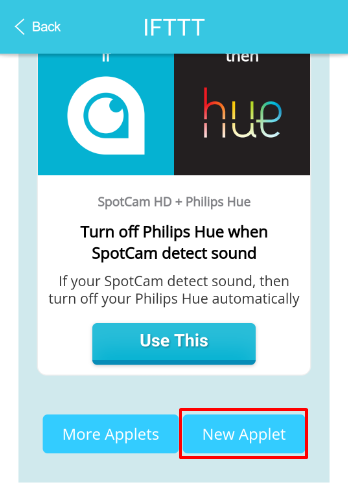 How to turn off/on my SpotCam automatically when I am back home or going away? It is also possible let your SpotCam work with Android/iOS location service when you back home or going away. 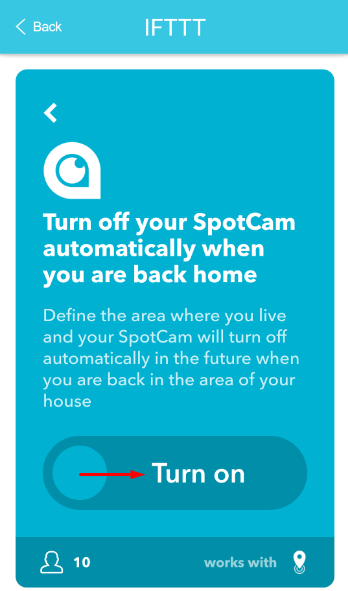 SpotCam is integrated with Android/iOS location service via a popular platform called IFTTT (If This Then That). 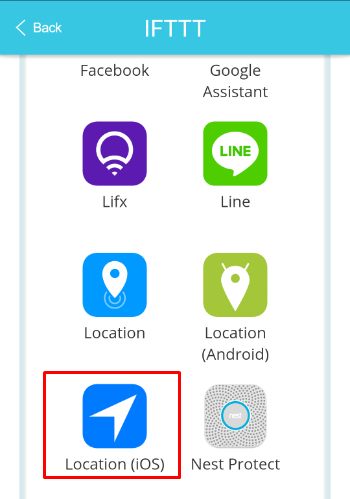 Here is step by step instruction on how you can enable IFTTT service for your SpotCam and then connect it with Android/iOS location service. 1. Register your IFTTT account here or sign in if you already have an IFTTT using your web browser. 3. 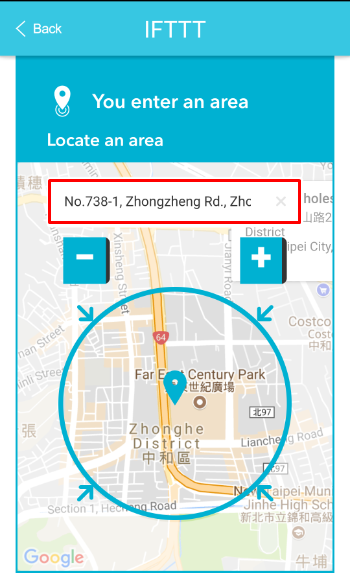 Choose the Applet you like to use, you can easily find Applets related to Android/iOS location service by using the filter at top right side of the page. If you are using iOS devices, please select Location (iOS) icon as below in the filter. 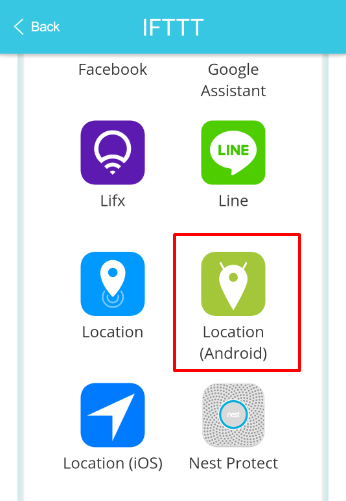 If you are using Android devices, please select Location (Android) icon in the filter. 4. After you select a location Applet, you will see a card like below, please swipe to turn on the service. You may be asked to permit SpotCam to access your location information. Click Allow then move to next step. 5. Locate the area where your home is, this area will be used to judge whether or not you are back or away. At the bottom also choose which SpotCam to be automatically controlled based on your location, then you are ready to go. It is also possible that you don’t find the Applet you like to use in our current selections, in this case you can easily create your own Applet by clicking on “New Applet” button on the same page abovementioned in SpotCam App or SpotCam website.